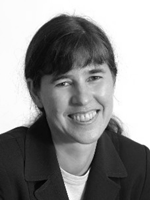 Angela Spaxman is an Executive Coach with Executive Development Associates in Hong Kong, China. She specializes in Corporate Mindfulness Training. Ms. Spaxman has almost 20 years of experience in leadership and team development including group facilitation, experiential training and most recently 12 years in executive coaching in Hong Kong and the region. Her executive coaching career is built on a foundation of 10 years in planning, engineering and management in Canada. She also has 10 years of concurrent leadership experience with non-profit groups, most notably as President of the International Association of Coaching from 2008-09 and as the Founding President of the Hong Kong International Coaching Community from 2002 to 2005. She stays on top of developments in the executive coaching field in part through her work as Adjunct Assistant Lecturer at Hong Kong University SPACE teaching an Executive Diploma in Corporate Coaching. Ms. Spaxman is a highly effective professional coach with a track record of success in assisting CEOs, senior business leaders and experienced professionals to make personal transformations relating to interpersonal skills, mindfulness, emotional intelligence and personal fulfillment. Her current work in organisations focuses on developing leadership capacity in order to develop highly resilient, agile and creative leaders. Her specialty is working with people who are making transitions to new stages of leadership challenge, capability and fulfillment. In addition, she works with international leaders in envisioning and strategizing for complex career and organizational decisions, she supports business people to implement mindfulness practices in busy lives for expanding energy, effectiveness and insight and she advances leadership effectiveness through stage development transitions based on Integral Theory, Leadership Agility and Action-Logic development. A highly successful IT manager in a diversified industrial group needed to develop to the next stage of leadership agility in order to expand the scope of her leadership effectiveness. Within six months of the onset of the coaching experience, the client’s behavior and leadership style had grown substantially and sustainably. Her ability to influence regional stakeholders and initiate new collaborative teams brought her new opportunities for advancement and contribution in the organization. A senior business development manager of a multinational insurance company needed to develop stronger executive presence and discipline in order to manage a more demanding role as regional Chief Operating Officer. Within six months, the client’s behaviour and results had changed substantially, earning him a promotion. 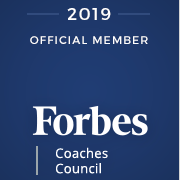 A simple return on investment calculation for the coaching showed significant monetary returns for the coaching program in addition to the harder-to-measure values created through the advancement of his leadership effectiveness. A managing partner in an international law firm was facing a highly challenging business environment including poor communications with the organisation’s global leadership. After 4 months of coaching, the client successfully negotiated an improvement in his corporate relationships such that he made the decision to stay in the position. Over the next 6 months he greatly improved the effectiveness of his team and made great strides towards creating a sustainable organisation within his scope of responsibility.